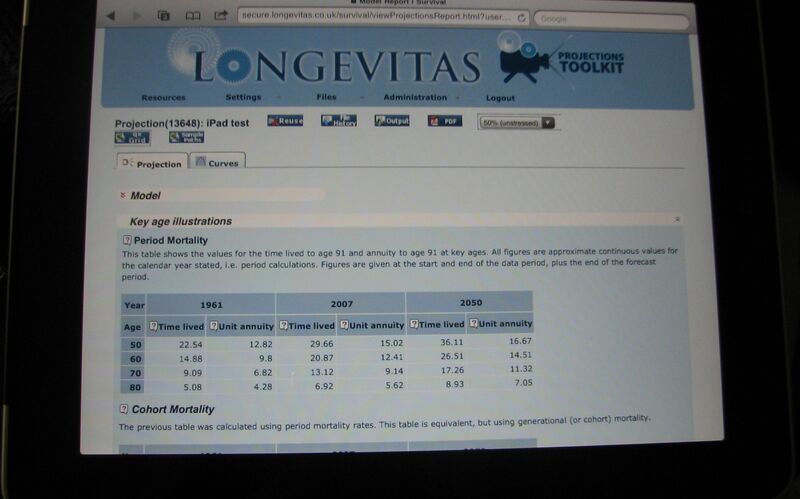 Earlier Gavin wrote about a number of mobile devices from which you could run Longevitas software services, including a Nokia telephone and an iPod Touch. This is not a result of specifically designing for these devices, but it is a handy benefit from following the open, published standards for web development. As a further illustration of this, you can also run our services from one of the most iconic mobile devices, namely the BlackBerry. 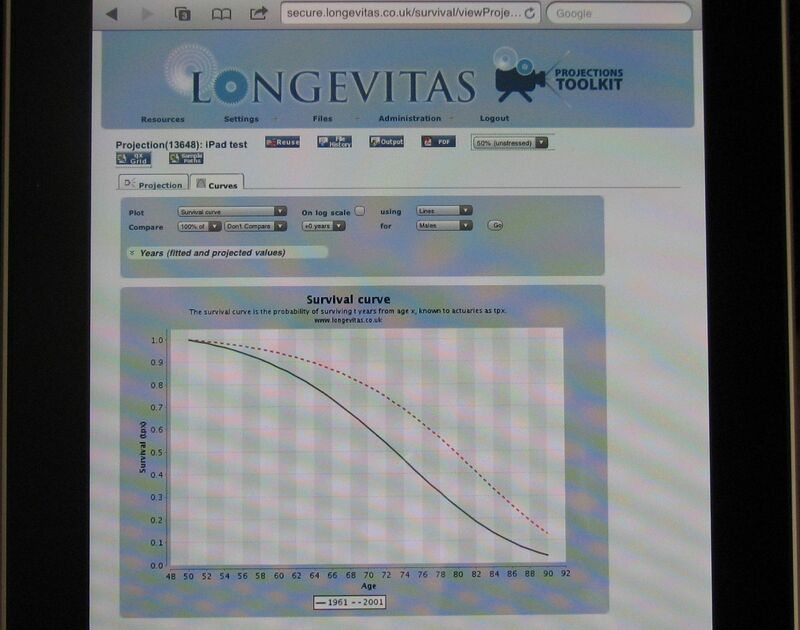 The picture in Figure 1 shows a BlackBerry 8520 running our flagship Longevitas survival-modelling software. 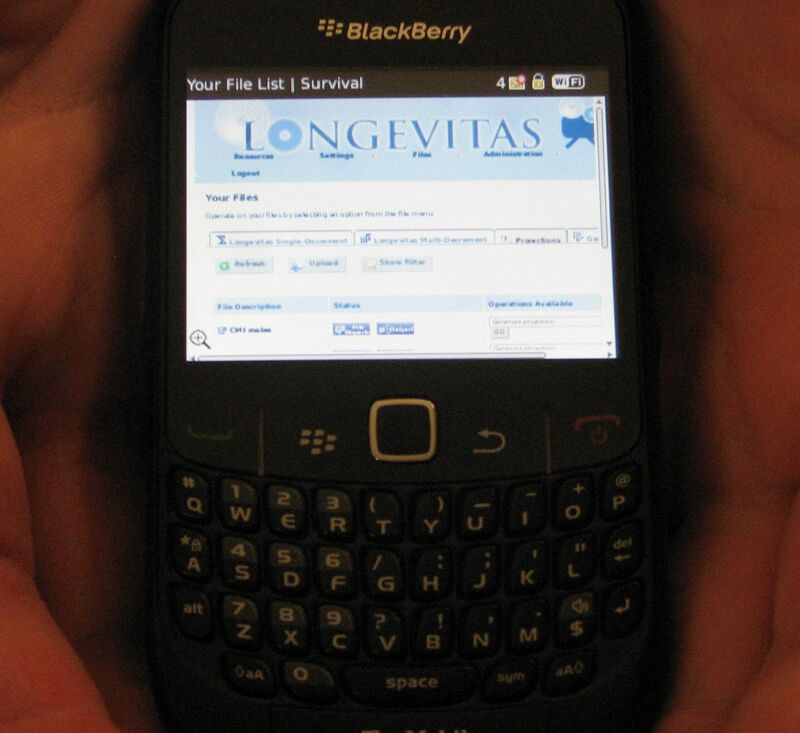 We're not pretending that this is terribly practical, though, as the BlackBerry screen is rather small. 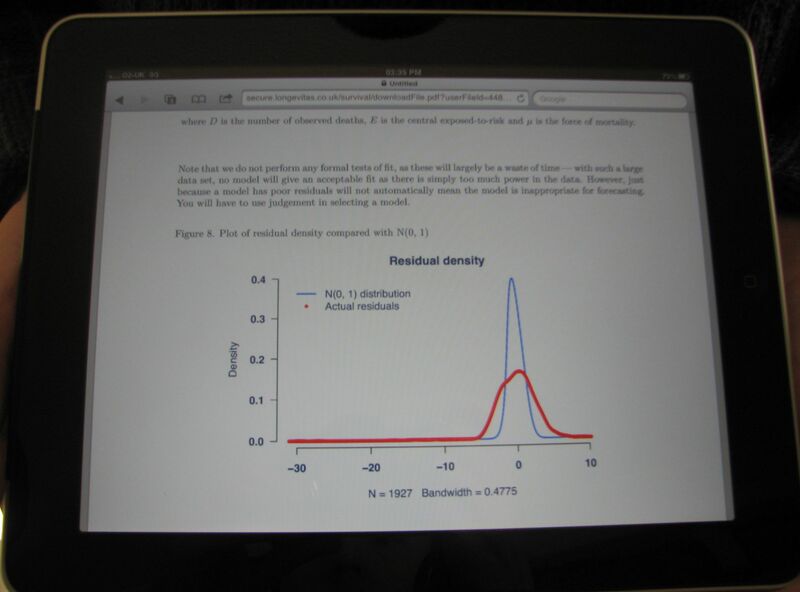 However, it is a quite different story in the case of so-called tablet computers. 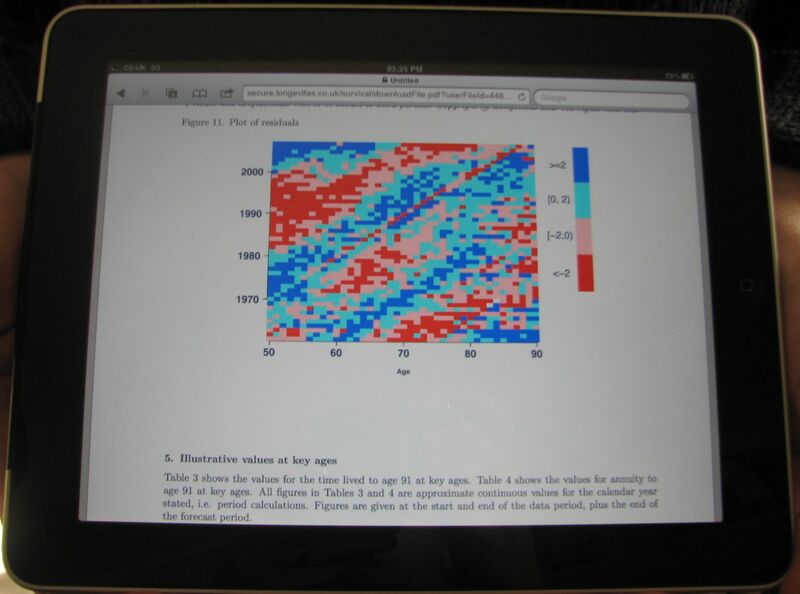 By far the most famous of these is the iPad, and our software works beautifully on these devices, as shown in the slideshow in Figure 2. Incidentally, the Scots refer to blackberries as brambles. While this has a nicer sounding name for a fruit, we have to concede that this wouldn't be a good name for a mobile business device.